We begin today’s Weekly Roundup in the FT, with the Chart That Tells A Story. This week it was about contributions versus benefits. 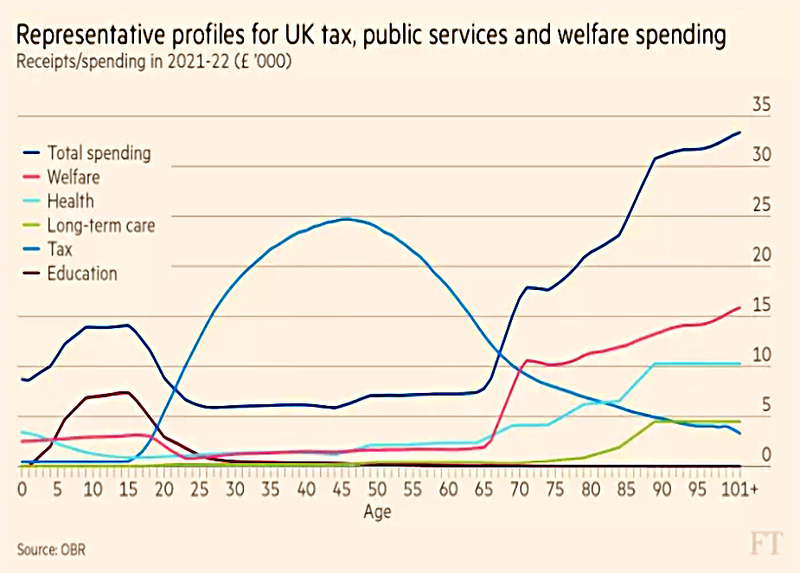 Vanessa Houlder looked at what the average Briton puts into and takes out of the welfare state, by age. People are only net contributors (on average) between the ages of 22 and 67. Before that, they consume education and their parents get child benefit and tax credits. After that, people get the state pension and use the NHS a lot. 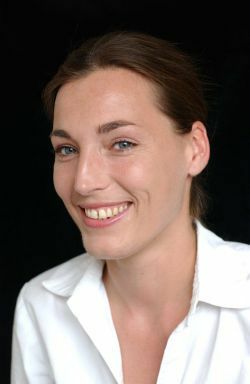 Vanessa also looked at variations by income level and year of birth. Despite paying more tax, the rich tend to roughly break even, since they live longer than the poor. But baby boomers are likely to take out between 116% and 118% of what they paid in. As a boomer myself, I have a great deal of ground to make up for that to be the case, so I look forward to a long life and a great deal of medical care. Meanwhile, millennials can expect to pay in more than they receive. But this doesn’t take into account any future increase in life expectancies, which would skew the pay-as-you-go systems used in the the UK back in favour of the (aged) millennials. Ten mates go for a drink each month and settle their £100 bill along “progressive” income-related lines. So the four men who earned the least paid nothing; the fifth paid £1; the sixth £3; the seventh £7; the eighth £12; the ninth £18; and the 10th man, paid £59. When the barman gave them a £20 loyalty discount the group divided it following the same principles. So at their next session, the fifth man now paid nothing; the sixth paid £2; the seventh paid £5; the eighth £9; the ninth £15; and the tenth man paid £49 instead of £59. Soon the highest-paid man was surrounded by the other nine and harangued for his selfishness. The next month the tenth man didn’t turn up, so the other nine had their beers without him. When they came to pay, they discovered they didn’t have enough between them to pay even half. You might expect Jeremy Corbyn to be unaware of this joke, or to not understand it. But Philip Hammond and Theresa May? 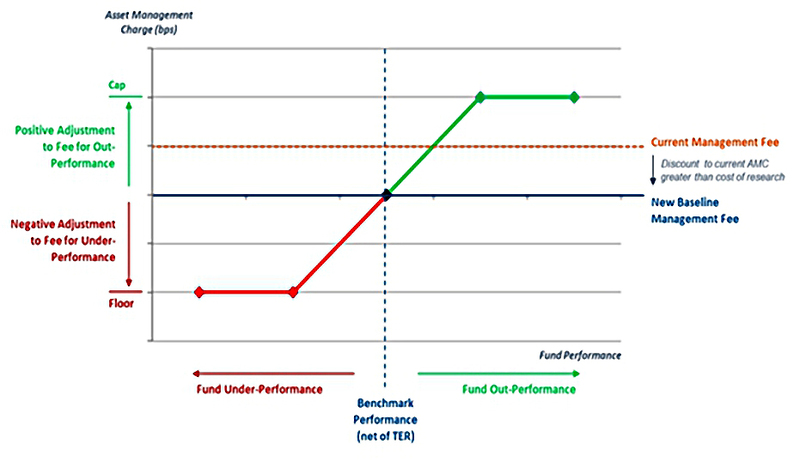 a performance fee will be added or subtracted, depending on how the fund performed compared to its benchmark. there will also be a floor and a cap. They are calling it a fulcrum fee, which will make sense to those people familiar with levers and pulley systems. For the rest of us, it’s a performance surcharge / rebate, or a variable management fee. what will the base fee be? how will the surcharge / rebate be linked to performance? what is the floor and the cap? If the base fee is close to that on a passive fund targeting the same index, things could get interesting. But there are issues around complexity (will the average investor understand it) and incentives (fund managers may take on extra risk to outperform and earn more fees). 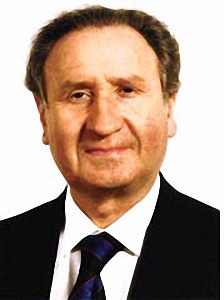 John Lee wrote about the risks and rewards of investing on AIM. Lord Lee also mentioned that he thinks CGT might rise. And under a Labour government, AIM IHT relief, the £20K ISA allowance and the £11.3K CGT allowance would all be at risk. And the loss of IHT relief could cause the price of many of the stocks in such portfolios to fall. I had a personal reminder of the risks of AIM last week, when the toilet roll manufacturer Accrol (ACRL) was suspended from trading over the state of its finances. So there’s a fair risk that it might go bust. I totally accept that AIM is risky, but making own-brand toilet rolls and kitchen rolls in Lancashire shouldn’t be particularly so. A normal trading update was given only a month ago. And this is a recent IPO (from a private equity firm), so there’s a bit of a stink here. A big fine from the Health and Safety Executive (HSE) follows from a workplace injury 2012 which wasn’t mentioned in the AIM Admission Document. I had a bit of a go at Corbyn last week, after the Labour party conference, so I think it’s only fair that I have a bit of a go at the Tories this week. I promise not to make politics a regular feature of the weekly roundup. First up are student loans. 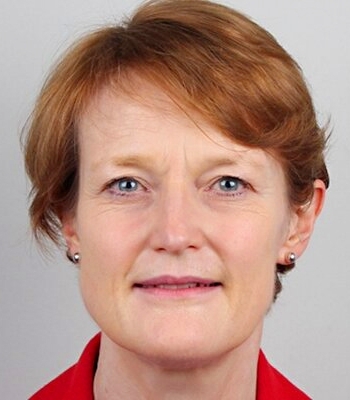 Tuition fees will be frozen and the repayment threshold will be raised from £21K to £25K. The frozen fees mean that inflation will cut the income of universities. And the 50% of young people who don’t go to university will feel no benefit. Instead of this bribe, we should just scrap the loan element and move to a graduate tax on above-average earnings. Next is Help to Buy. Like the majority of people in this country, I have a vested interested in property prices not suddenly crashing. But Help to Buy benefits housebuilding firms more than first-time buyers, by pushing up house prices (since buyers can now afford more). And it benefits the richer first-time buyers at the expense of the poorer ones. We should get on with building more homes where there are jobs and / or moving jobs to where there are plenty of houses. Third is auto-enrolment into workplace pensions. The government wants to extend the user base for this system. But what we really need are higher contribution rates, and probably an element of compulsion. Fourth is the energy price cap. Price caps don’t work, and they should have no place in a Conservative manifesto – which should be defending free markets and competition. And in the case of the energy market, they risk scaring away the investment needed to secure Britain’s future energy supply. Is it really that difficult to switch energy suppliers? The underlying problem for the Tories is that they are the party of people with a stake in society, and too many people under 50 no longer think that they have one. This is down to a lack of houses and a lack of secure well-paid jobs – neither of which will be easy to fix in the short term. But they should at least try, and make a big noise about trying. And they need to face up the fact that no-one under 50 can remember the 1970s. 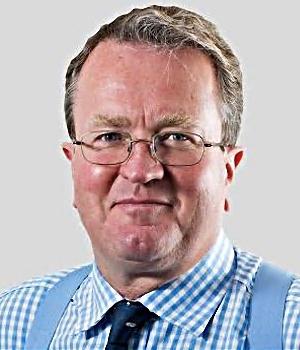 So scaremongering about the consequences of Corbyn’s Marxist plans – even if it’s the truth – won’t work. It seems that a lot of people have fallen out of love with capitalism, despite its track record of lifting people from poverty. In the Spectator, Ros Altmann argues that this is because of QE. QE distorts the free flow of capital by skewing incentives. 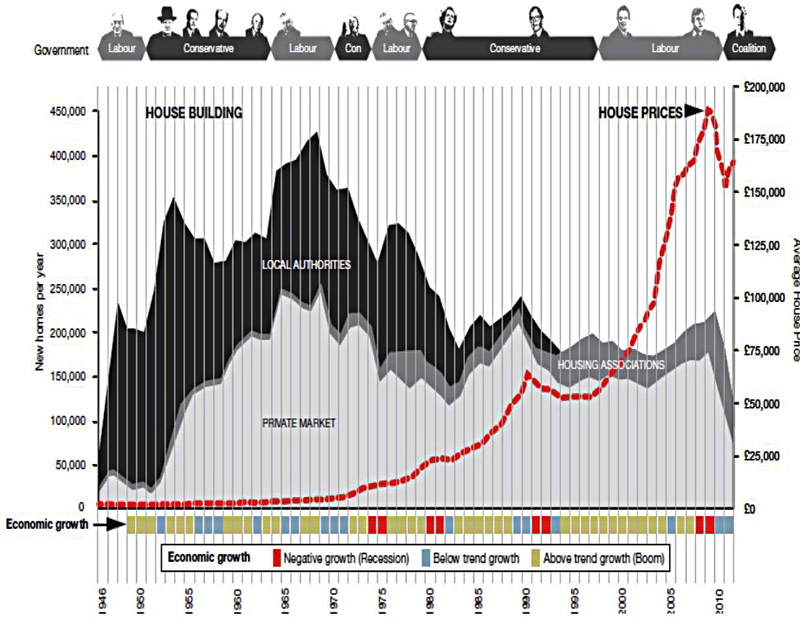 It pushes up asset prices, which disproportionately benefits the already wealthy and keeps house prices out of reach. It also makes final salary pensions too expensive to operate for the young. Rather than QE, Ros would have nationalised the bankrupt banks without compensation back in 2008. And insisted that they lend to small businesses. She also foresees debt write-offs and “People’s QE” (money creation for government investment) in the future. Whether or not Ros’ analysis is correct, envy seems to be a stronger force than common sense at the moment. And that will be a lot harder to do anything constructive about than even the housing market. I have lots again this week, so some will need to be held over. We’ll start with nudges, as Richard Thaler has been awarded the Nobel Prize for Economics (the one that isn’t a “real” Nobel). Thaler is one of the founders of behavioural economics, and responsible for the theory of nudges. 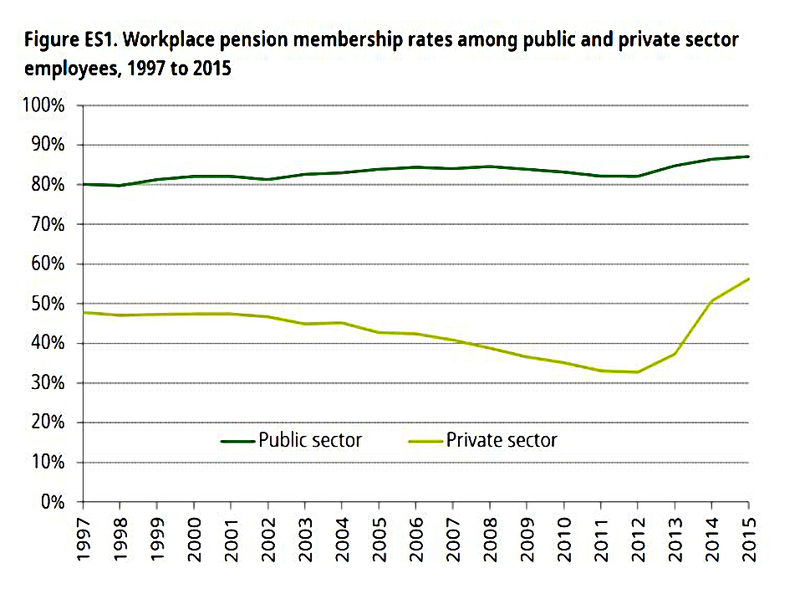 Paul Johnson tweeted the picture above, which shows how workplace pension enrollment has taken off in the UK since the default was changed from opt-in to opt out. 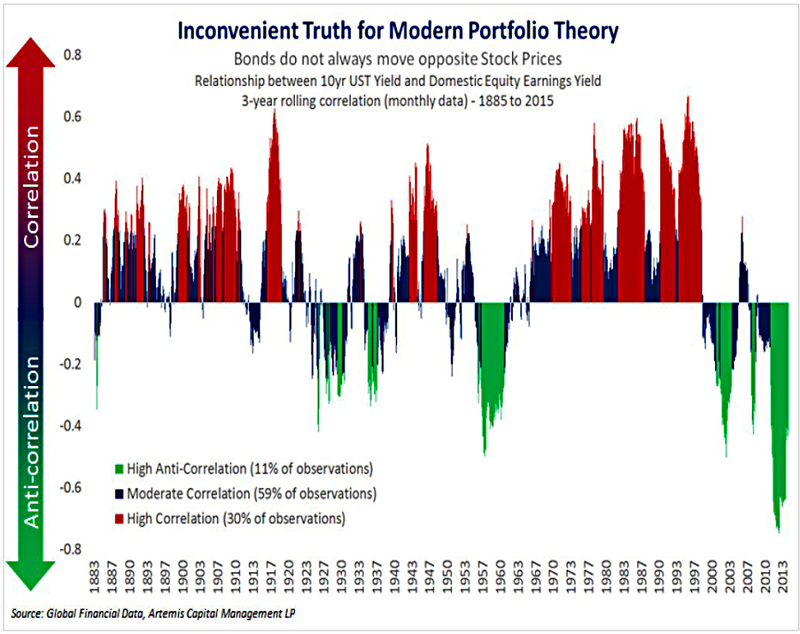 The next chart shows how bonds and stocks are not always negatively correlated. The next two are on UK housing – the first shows how local authority construction has not nearly been replaced by housing association constructions, and how private construction shrank following the financial crisis. 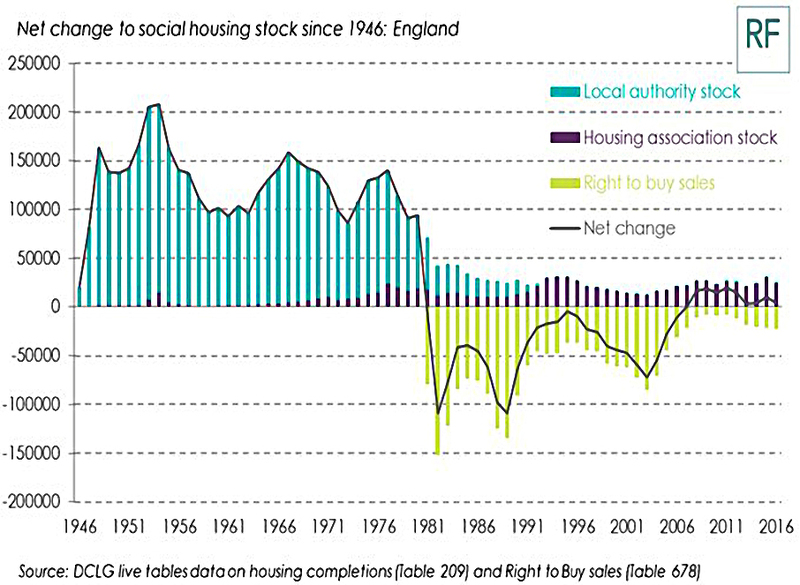 The second shows the annual net change in social housing – stocks shrank under the right-to-buy sales from the 1980s onwards, though they have been increasing since 2006. 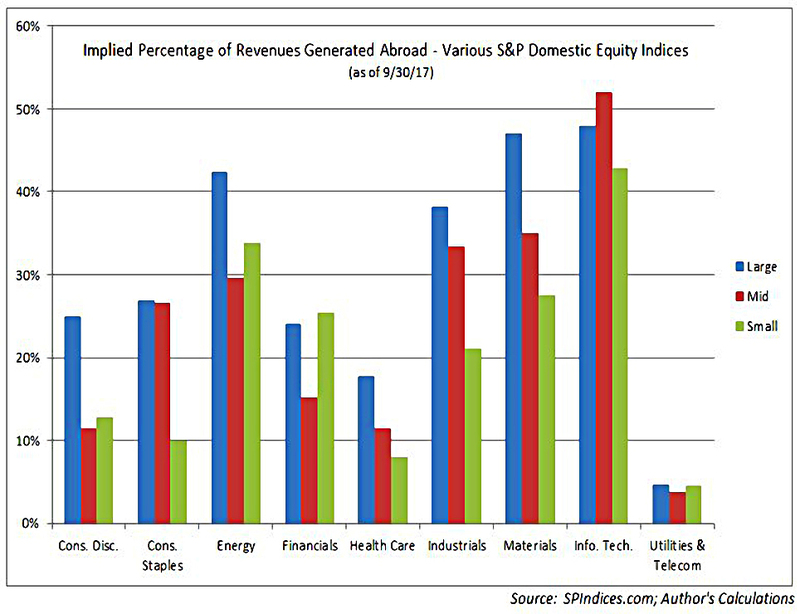 This one shows how tech is the most international of the US market sectors. 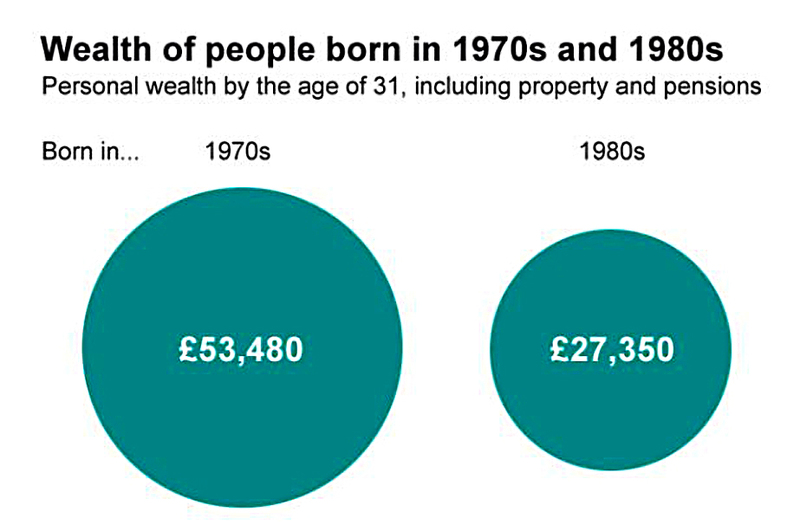 This one shows how people born in the 1980s are not as wealthy (at age 31) as those born in the 1970s. 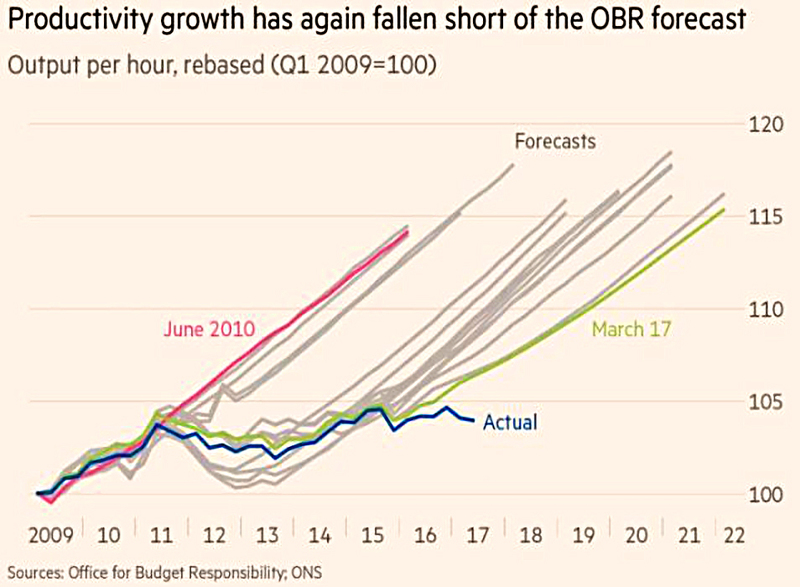 The final two pictures are about UK productivity – the first shows how the OBR forecasts have been reliably optimistic since 2009. 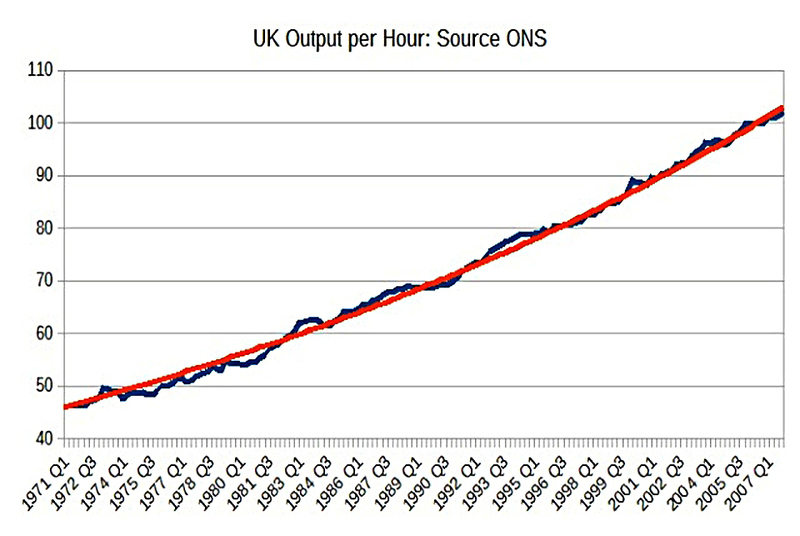 And the second shows why – productivity growth to 2007 was remarkably consistent. I bought them around about the same time as you did on the evidence and figures that were around at the time. Incidentally I love the work that you have been doing on AIM Inheritance and wish I had found your site 2 years ago before I started my own “adventure” in this area. I found an interesting site (wall st) which for an inexperienced person like myself appealed but I was too mean too subscribe in the end. I am slowly working my way through some of your other articles which are of interest to me and am amazed at your breadth and volume and knowledge displayed. Thank you once again for help with IHT is difficult to find without paying an arm and a leg for. The next AIM IHT post is due on Oct 18th, and covers the process of whittling 150+ stocks down to 50. After that, number six in the series will look at switches I’ve had to make, and the lists of extra AIM IHT stocks provided by people like yourself. I’ve edited the list of stocks you provided out of your comment pending that article.